Castletownbere U16s continued their impressive run in the West Cork League by dispatching Clonakilty on Sunday morning last. Town started the brighter in greasy conditions scoring 1-5 without reply before Clonakilty replied with a goal of their own. Town were exceptional throughout the first half in all aspects of the field as they dominated their opponents to go into the lead at half time on a score of 2-11 to 1-1. With the elements in the second half and with Owen Power dominating the middle third Town settled fast scoring 2-1 in the first few minutes of the second half. The Town defence especially Con O Sullivan and Michael Murphy were flawless inside in full back line. It was the middle third of the field that built the foundation for an exceptional second half performance, with half backs and half forwards work rate and intensity that was most notable. Town had no shortage of scorers with 9 different scorers which was quite remarkable. 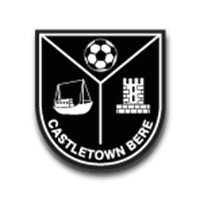 Town finished off the game with a handsome win on a final score of Castletownbere 5-25 Clonakilty 3-5. Town now jump up to second in the league with a trip to St. Colum’s and a home tie versus Kilmacabea ahead.